A worthy addition to the pantheon of beloved war novels from A Farewell to Arms to All Quiet on the Western Front, Brad Schaeffer’s gripping story draws the reader into the very heart of the conflagration that was the Second World War. He takes the reader deep into the conflicts that raged not only in the skies over Germany, but within the hearts of combatants and non-combatants alike who found themselves trying to maintain their humanity when all decency seemed to have abandoned the happy lives they once knew. 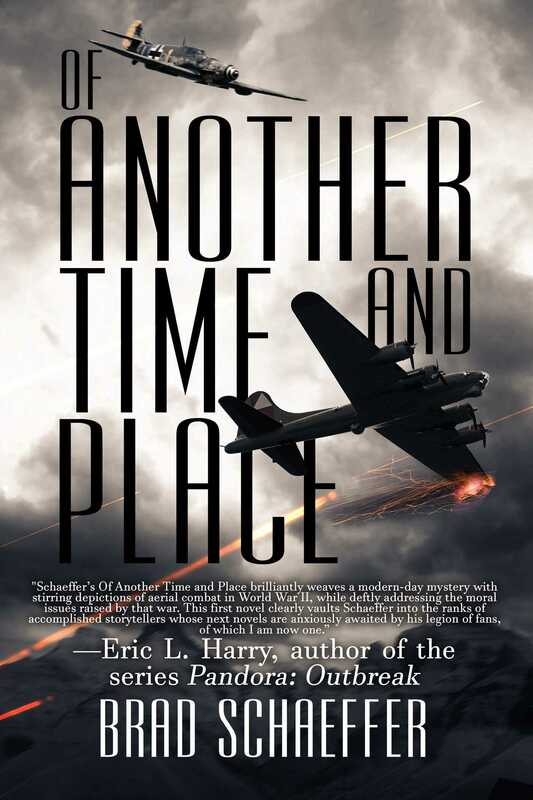 "Schaeffer's Of Another Time and Place brilliantly weaves a modern-day mystery with stirring depictions of aerial combat in World War II, while deftly addressing the moral issues raised by that war. This first novel clearly vaults Schaeffer into the ranks of accomplished storytellers whose next novels are anxiously awaited by his legion of fans, of which I am now one." "I love Brad Schaeffer's writing, and Of Another Time and Place is no exception. Buy it and read it. You won't be disappointed."